Halls Harbour sits on the Bay of Fundy on Nova Scotia’s north shore. The span of the tides here is often as much as 40 feet. Further into the bay, at Burntcoat Head in the Minas Basin, the tides can be more than 55 feet. So the wharves on the North Shore (or wharfs, if you prefer) are substantial. At low tide, boats at Halls Harbour sit right on the bottom, and you have to climb quite a long ladder to get to one. 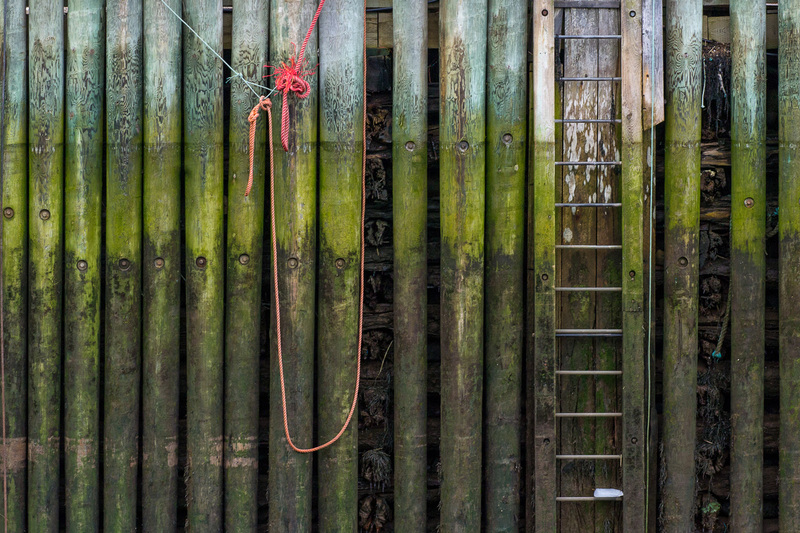 My photographic interest on this day (and later, at other wharves) was the colour, patterns, and textures in the wharf wall itself. And also, the small details that break into the patterns in intriguing ways. In a previous post I wrote about my early career as a graphic designer at a book company. I think, perhaps, that experience has influenced my photography. I often “see” and photograph two-dimensional compositions from the scene in front of me. 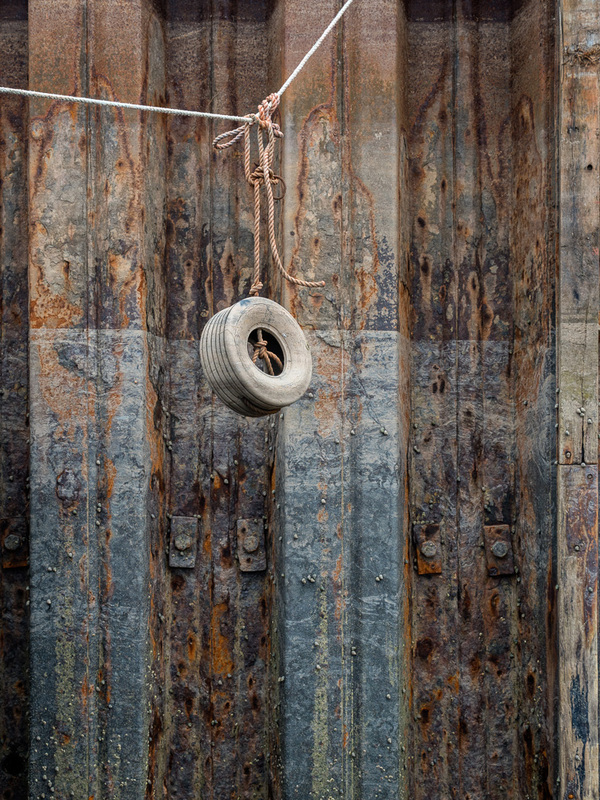 And these abstractions are among my favourite photographs. I like the simplicity. I like the harmony. I like the fact that you aren’t obliged to look at the detail, but there is detail and interest if you want to look closer.